For the last several months, the Annapolis Navy League Cadets have been spending their bi-weekly drill sessions learning how to build an underwater vehicle both in a classroom and hands on environment. They have been guided by Reina Mercedes Instructors who received prior instruction to first learn themselves how to build the vehicles; a “train the trainer concept”. SeaPerch is a collaborative effort between the Office of Naval Research and the Society of Naval Architects and Marine Engineers. The SeaPerch Program, designed by the Massachusetts Institute of Technology, teaches underwater robotics to middle and high school students through the hands-on activity of building their own robots. Some League Cadets are receiving the training in their schools and have also provided helpful tips to their fellow cadets during the project. SeaPerch provides students with the opportunity to learn about robotics, engineering, science and mathematics while building an underwater remotely operated vehicle (ROV) as part of a science and engineering curriculum. Throughout the project, students learn engineering concepts, problem-solving techniques, teamwork and technical applications, all culminating in an end-of-the-term design competition. This program teaches students how to build an underwater robot, build a propulsion system, develop a controller, and investigate weight and buoyancy. 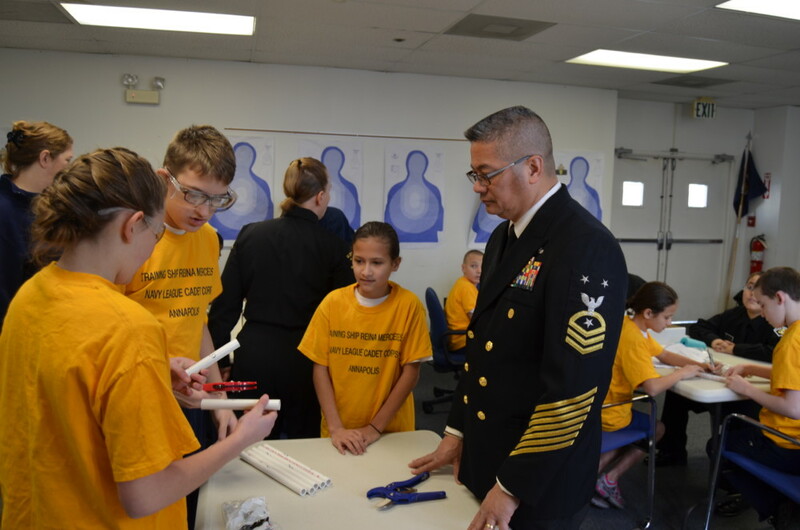 With a marine engineering theme, this project teaches basic skills in ship and submarine design and encourages students to explore naval architecture and marine and ocean engineering concepts independently. The curriculum also includes discussion of potential careers in the STEM field, as well as other related fields of study. This project also provides the League Cadets with a great opportunity to build their teamwork and technical skills.